St. Stephen's is the launching point to a million possibilities. Students who are looking for more out of life excel here. When you decide to attend St. Stephen's, you are making the decision to pursue passion, to pursue excellence, to pursue your aspirations. 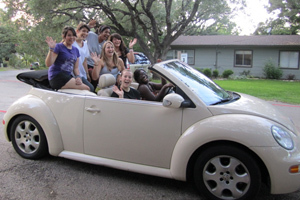 Every day we work hard to provide a challenging and stimulating college preparatory academic experience. But while the academics are stringent, the atmosphere is casual, friendly, accepting. When you live where you play, you find a balance that allows time to study, play in the orchestra, give back through community service, join the basketball team, and socialize with friends and teachers at the dinner table. Our students make global connections every day. 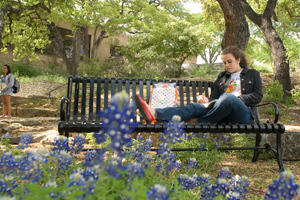 Sitting in class - and doing the many things outside class - are students from all over Texas, the United States, and the world. Living and learning on campus allows our students to have the experience of a lifetime, and prepare them for a lifetime of experience. Our students are known for mutual respect and acceptance of classmates no matter what they believe, where they come from or what they aspire to in the future. Freedom of individual expression in differences in dress, political ideology, religious and geographic diversity are not only appreciated here, these differences are encouraged. From one another we learn, and see life and the world through each other's eyes. Founded as a co-ed boarding school in 1950, St. Stephen's has stayed true to the objectives set by the initial Board of Trustees: that the church school provide the highest of academic standards, prepare them to enter any college in the country, and prepare them to productive adults and reliable members of the community. By the late 1950's the school was the first in the South to integrate and has continued to encourage students to become involved in thought and action with social justice issues. The school's first Headmaster, The Rev. William Brewster wanted the St. Stephen's experience to include "understanding in national and international affairs, a wrestling with social and economic problems, and participation in community service and school student government." Those words, written around 1950, still are true today and are evidence of the forward thinking and vision that is the bedrock of the school. Sixty years later, St. Stephen's students and faculty continue to explore their passions in the classrooms and in the greater campus community. With a national reputation for producing students who are prepared for life at many of the nation's most prestigious colleges and universities, our graduates are much more that the sum total of their GPA. The experience of living and learning in a dynamic environment based on inquiry and tolerance has prepared thousands of graduates for a rewarding personal and professional life. Finding the best college match for each student is a methodical process. For some it can be an easy decision, and for others it's an intense search with numerous applications. All students are matched with one of the three professional college counselors within weeks of arriving on campus. This relationship continues through the college search, application and selection processes. The discovery part begins on the St. Stephen's campus with 130 colleges and universities visiting each year. These small group meetings are a great introduction into the many different higher education opportunities in the U.S. and around the world. They often lead to students making a shorter list of the college campus' they will visit and consider for application. 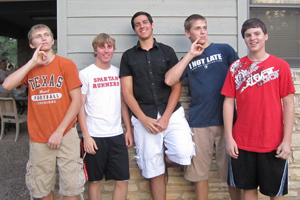 The 2010 senior class of 113 students attended 73 different colleges with 80% attending schools outside Texas. There were 13 recruited athletes in Divisions I and III. Whether it's on the stage or in the studio, St. Stephen's students have incredible opportunities to create visually and musically and on the stage. They make films, and dance to different beats. They even play the drums that create those different beats. When it comes to the arts, you have many to choose from: Orchestra, Drum Line, Chrysalis Dance, Chamber Groups, Choir, Madrigal Singers, 5 Visual Studies classes, Ceramics, Theatre Focus, Filmmaking, Yearbook, Photography, Jazz Band, Theatre, Drum Line. Students also take individual lessons in: Art, Dance, Acting, Voice, Piano, Guitar, Strings, Woodwinds, Brass, Percussion. And if you see more than one you love here, the good news is, nobody's going to say you have to choose one. Do you have a passion to compete in athletics as well as in the classroom? We have team sports for all levels of athletes. 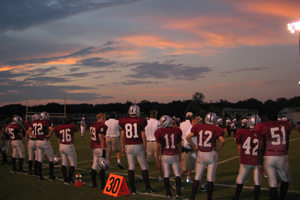 Many students play at two sports per year, many even three or four. Here at St. Stephen's, we believe athletics not only makes ones body stronger, it also prepares out students to compete after their days here. You can wear our colors while playing Lacrosse, Soccer, Tennis, Swimming, Track and Cross Country, Baseball, Field Hockey, Volleyball, Football, Basketball, Golf. Intense training programs include the Soccer Academy and Tennis Academy for players with the desire and determination to play on the collegiate level. If your taste is more suited to the extreme or alternative, you can also participate in Rock Climbing, Caving, or Crew. Dorm life has many advantages. You have the opportunity to know - really know - peers with different life experiences, from different countries, with a myriad of different interests and abilities. You'll always be able to find a study buddy, someone willing to share a pizza, and an interesting conversation. Since boarding students manage waking up on their own, making it to class and meals on time, doing laundry, making time for hanging out with friends, getting ready for sport practices, and attending study halls, they are more ready than most college freshmen for the challenges of living away from home. Each dormitory has assigned dorm parents who are committed to their residential students and the experiences they have during their time at St. Stephen's. You'll often find them - even when they aren't on duty - supporting and cheering their students on during a game, attending a play, at a gallery reception, or helping out with routine homework. Some of the strongest relationships are built among faculty and students when they share their living, learning and play spaces. Texas is a great state and the capital city is one of the best places to live. 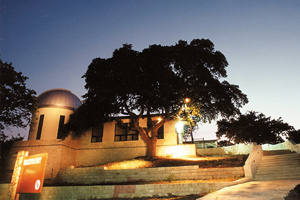 Austin is an interesting mix of technology, education, government, music, film and the arts. You'll see rolling hills, creeks, parks and river flowing through the heart of town. It's an interesting mix of land, people, industry and entertainment. You'll find Austin on lots of "Top" lists in magazines and on websites: Best culture, career growth, greenest cities, "coolest city," and standard of living. Locals love their hometown for the access to all things UT, the music and cultural festivals, the sophisticated art museums, the access to outdoor activities, and laid-back attitude. Visitors often leave town trying to figure out a way to get back. Come for a visit and you'll find out why.